Ships today if you order in the next 9 hours 22 minutes. Auto Ship & Earn + 104 Points What's this? 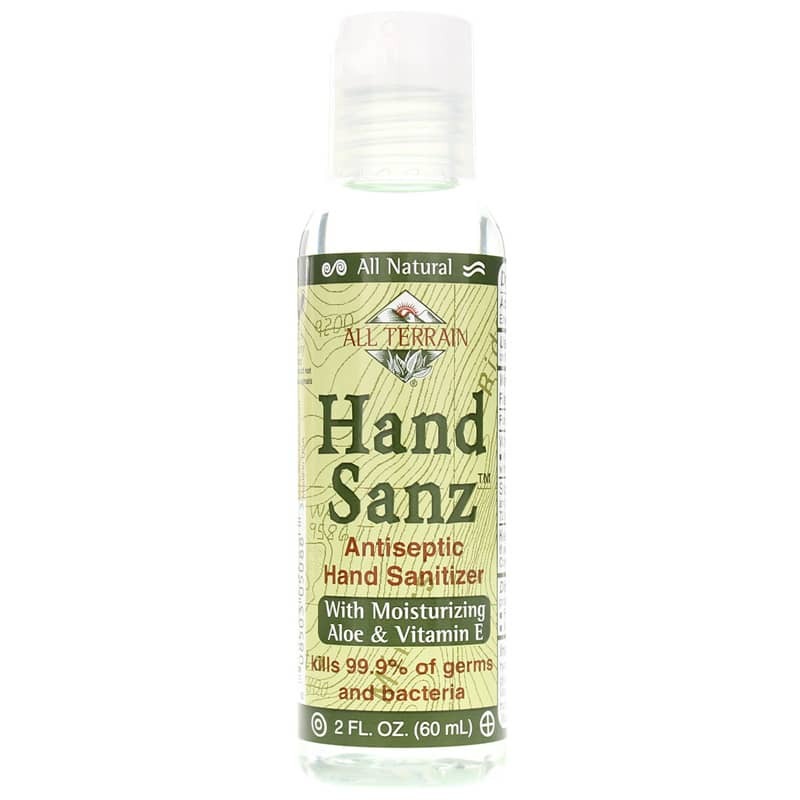 All Natural Hand Sanz Antiseptic Hand Sanitizer with Moisturizing Aloe & Vitamin E by All Terrain is an all natural hand sanitizer that kills 99.9% of germs and bacteria and is a great natural alternative to using chemical antiseptics. Wonderful choice for outdoor enthusiasts! 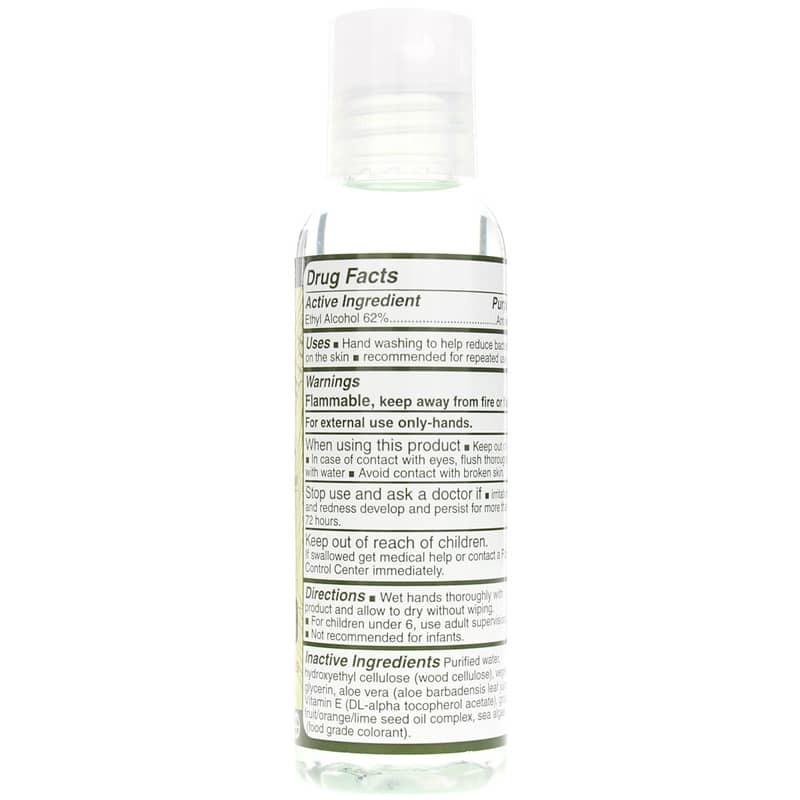 Inactive Ingredients: purified water, hydroxyethyl cellulose (wood cellulose), vegetable glycerin, aloe vera (aloe barbadensis leaf juice), Vitamin E (DL-alpha tocopherol acetate), grapefruit/orange/lime seed oil complex, sea algae (food grade colorant). Adults and children 6 and over: Wet hands thoroughly with product and allow to dry without wiping. Children under 6: use adult supervision. Infants: Not recommended for infants. Flammable, keep away from fire or flame. For external use only - hands. Keep out of eyes. Avoid contact with broken skin. Keep out of the reach of children.